Nasonville Dairy’s innovative cheese category is based on our new technique and secret culture that creates the Blue marbling for the Monterey Jack and Cheddar varieties. 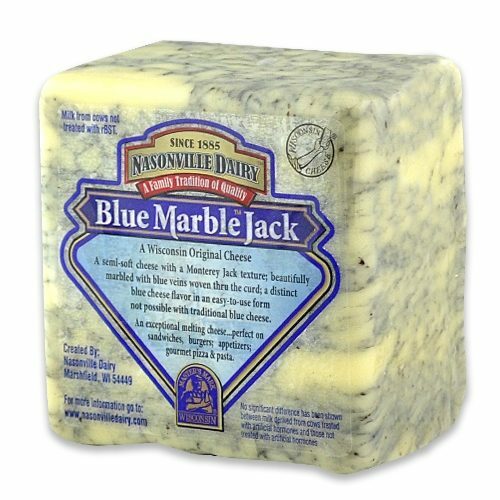 What makes Blue Marble™ unique is the blend of easy to melt Monterey Jack with the tangy flavor of Blue Cheese. You can now add blue cheese flavor in a smooth texture instead of the traditional hard or crumble forms. It’s delicious by itself on crackers, in appetizers, grilled sandwiches, main dishes, or to top off your burger or steak. Want a completely new twist? Add to your Tex-Mex favorites.